The proces of film making very enjoyable. It gives me the opportunity to blend some of my hobbies: music and photography. It’s all about visual storytelling by translating moments into motion, settings into composition, and moods into music. And above all, the joy I get from creating things. Combine all this with visiting interesting locations and working with people who are passionate about what they do… Need I say more? Below is a selection of videos that I created. Most of them were end-to-end productions, some involved filming or editing only. 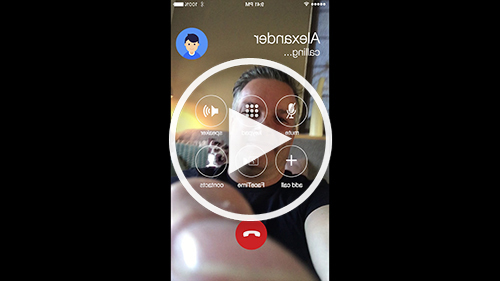 I shot and directed this video about the use of Yammer to jump-start innovative ideas. The editing was done by Sigrid Deters, who chose a pretty straight forward approach. 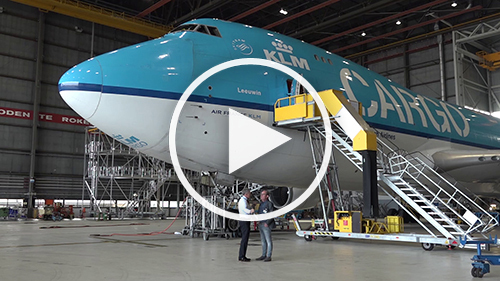 I had the pleasurable honor to compile and create this video, which included filming the CEO of KLM in fresh snow. Massive Music tailored the score to my needs, and it matches the script perfectly. In 2017 KLM ended its 97-year cooperation with Fokker Aircraft. 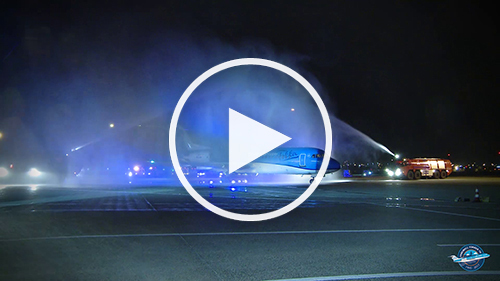 During a large event in a hangar at Schiphol Airport, KLM Cityhopper staff and many external relations welcomed the last commercial flight. Co-production with Marjolein Stoop. In October 2017, KLM said farewell to its last Fokker aircraft. 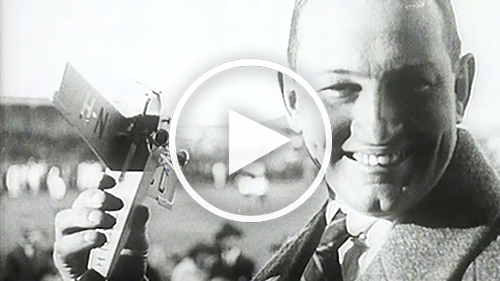 To commemorate 97 years of cooperation between KLM and Fokker, I collected historical footage and created this video. It was shown at the Farewell Fokker Event. A chief pilots takes his colleagues on a quest to get answers to their questions. It's very time consuming so he rushes between locations. We added a bit of exaggeration and self-mockery to emphasize on the efficiency of using Yammer instead. 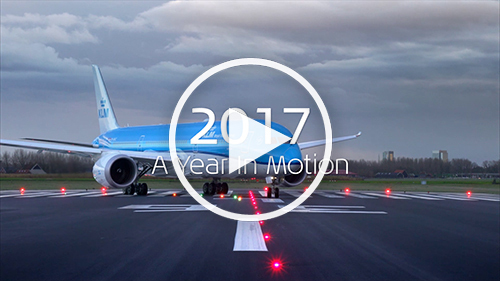 This video was shot at location in KLM's IT building at Schiphol Airport. 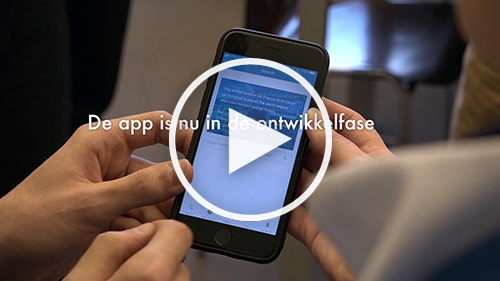 I created it for an internal Office 365 event aimed at Air France - KLM IT staff. Since Office 365 is all about collaboration, I wanted to film their own colleagues while working closely together. The system font and tags in the title refer to their daily line of work. 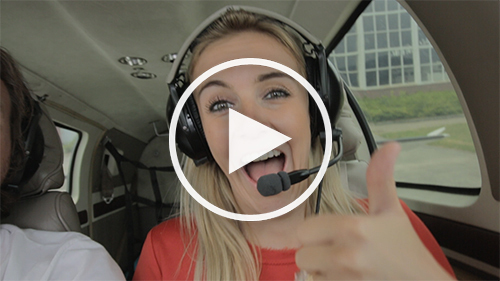 This is the second of two "Intern On A Mission"' vlogs I edited. The combination of music and Julie's genuine exitcement give this video nice energy. Unfortunately the picture quality of the raw material was rather poor in some scenes. This is the first video I edited for KLM. It is from a popular series named "Intern On A Mission", in which interns share their behind-the-scenes discoveries. I added a twist in which Julie seemingly takes full control of the situation. Growing tomatoes - "They're like kiddies"
There's something about growing tomatoes. It's a bit of a challenge, and vegetable gardeners tend to be passionate about it. On a beautiful spring morning, this Dutch woman shares her love for the crop in her lovely own garden. A rather quick 'n dirty little experiment on what the world would look like from a phone's perspective. Wait for it...!